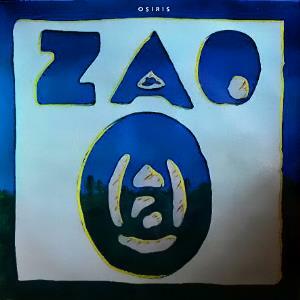 The second Zao album was recorded without the distinctive vocals of Mauricia Platon and marks the band's shift from Zeuhl with a touch of jazz fusion to jazz fusion with a touch of Zeuhl. The net effect is a fine album that is both more accessible than their debut but also less distinctive, often sounding like generic European jazz rock that could have emanated from any number of fusion bands. Aside from a shift to mainly instrumental pieces, the music generally settled into a comfortable groove where Fender Rhodes, bass and drums laid down a solid backing for the sax and violin to solo over, as opposed to the complex interplay of vocal, violin and sax on Z=7L. As the sax was in the hands of Yoch'ko Seffer this wasn't necessarily a bad thing, and Jean-Yves Rigaud was no slouch on the electric violin, so there are some stunning moments here and there. The rhythm section is occasionally bolstered with additional percussion and there are some Zeuhl influenced wordless vocals from Seffer and bassist Joel Dugrenot on a couple of tracks including the opening Shardaz. The stand out is Isis, which opens with some lovely ethnic percussion and flute before a smoky midtempo minor key groove kicks in and Seffer's gypsy soul shines through his solo, followed by Rigaud playing his electric violin through a variety of effects pedal before the whole thing ends as it began after almost 10 minutes. The CD reissue contains another extended work out in Montreal, which features some complex congas alongside the bass and drums and is almost the equal of Isis. 3.5 stars for the original version, with an extra half star for the reissue with Montreal. As other reviewers have pointed out, this is closer to Weather Report than Magma, but when the ethnic influences are added to the jazz fusion it turns into a potent brew indeed. Fusion fans will love it, Zeuhl heads may be a little disappointed.